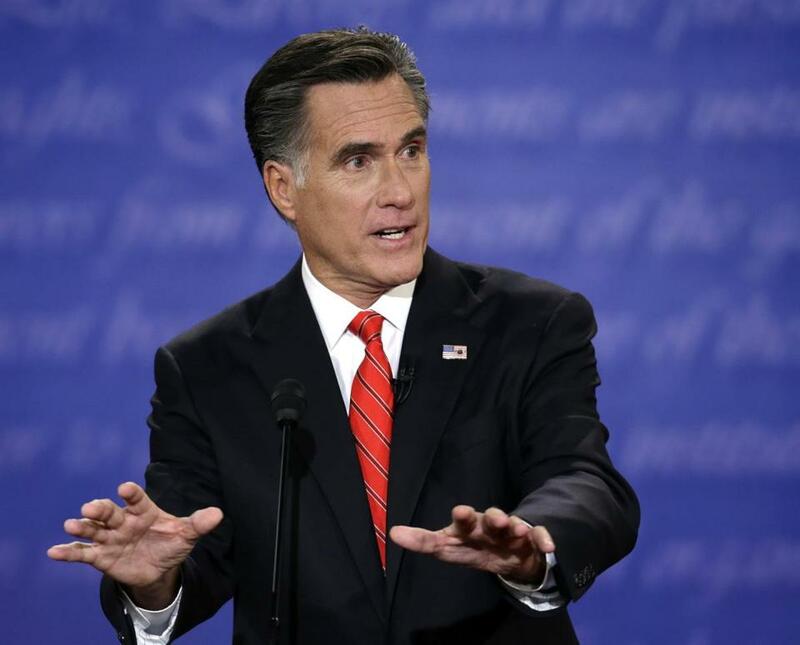 Then-Republican presidential candidate Mitt Romney spoke during the first presidential debate with President Barack Obama in 2012. At one point in 2012, Mitt Romney was willing to bet $10,000 that a central part of his Massachusetts’ health care plan was not the model for President Obama’s signature initiative. As he traveled around the country to campaign, Romney swore the new federal health care law, dubbed Obamacare, was “a disaster” and unconstitutional. But in an interview with the Globe about Tom Stemberg, a Staples founder who died Friday, Romney praised his friend’s role in passing the hallmark health care legislation. Romney also praised “Romneycare,” suggesting it was the precursor to the president’s health care legislation that he repeatedly disparaged on the campaign trail.